Finally the weather feels much warmer and I see smiles all around which means summer food! Lets start off with a Prawn Chilly Fry. This delicious, nutritious, high protein pulse is popular amongst vegetarians the world over and it's one of my favourite too. 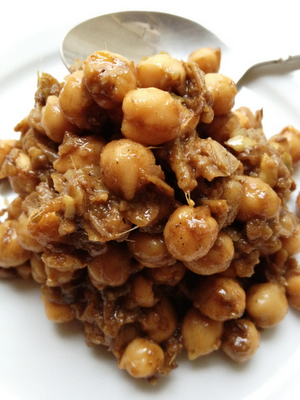 This particular dish is my take on a classic, Chatpata Choley, in other words spicy, sweet and sour chickpea's. In a large deep frying pan heat up the oil on a medium heat, once hot throw in the cumin seeds and allow too crackle for 15 seconds. Add the onions, garlic, ginger, chillies and sauté for 10 minutes until onions softened. Add the chick peas and stir fry for 3-4 minutes. Pour in the tamarind juice, sprinkle in the spices, lower heat and simmer for 16-18 minutes, stirring occasionally until the tamarind juice has evaporated. So whose started a new diet in the new year after all the festive indulging, cutting down on calories, eating healthy and no doubt have joined a gym? It’s still going too be cold out there for a while and we will need a variety of foods too boost the immune system, give us energy and help as with the detoxifying. More and more of us are eating fish, as a healthy option, less calories, hardly any fat and great for loosing weight. Though fish does tend to be bland at times unless spices are used, this got me thinking of how certain spices and herbs have extremely good health benefits. So I decided to create the perfect immune boosting, detoxifying fish dish; that not only tastes great but has great health benefits. 250gm salmon- high in omega 3, for a healthy heart. ½ tsp cayenne pepper - increases metabolism, other Cayenne Pepper benefits. ½ tsp turmeric powder - natural liver detoxifier, other Turmeric Powder benefits. ½ tsp coriander powder - general digestive aid. 2 garlic cloves, crushed - helps lower cholesterol and blood pressure. 1 piece of ginger, crushed - traditional medicine for the treatment of cough, cold and congestion. 1 red chilli finely sliced - stimulate blood circulation and are reputed to help prevent heart disease and cancer. 1tbsp lime juice - helps with weight loss. 1tbsp olive oil - controls LDL ("bad") cholesterol levels while raising HDL (the "good" cholesterol) levels. In a small bowl, sprinkle in the cayenne pepper, turmeric and coriander powder. Add the crushed garlic, ginger, lemon juice, olive oil and mix to form a paste. Place the salmon on a plate and apply the paste evenly, by hand or using a spoon. Place the salmon on a large sheet of foil, sprinkle salt, pepper, red chillies and fold the foil into a parcel, making sure its hollow inside and that no steam can escape. Leave to marinate for 30 minutes or place in the fridge for a day, if using the next day. Place the salmon parcel in a pre-heated oven at 200°C degrees for around 18-20 minutes. Remember drink pleanty of water. If your south Asian and grew up in the UK, you are well aware of the Jeera Chicken, very popular among Indian & Pakistani homes throughout the west. It's one of my favourite starter chicken dishes of all time, chicken on the bone cooked in plenty of cumin, herbs, spices and often eaten dry. In a large wok, when which has a lid, heat up the butter on a medium heat until it has dissolved and fairly hot. Sprinkle in the cumin seeds and allow too crackle for 15 seconds and then add the garlic, ginger, green chillies and sauté for a further minute. Add the chicken and stir fry until all chunks have turned white in colour. Sprinkle in the garam masala, turmeric, chilli, coriander powders, stir in well, reduce heat, cover with a lid and simmer for 45 minutes on a low heat, stirring occasionally. Sprinkle in the coarsely roasted cumin, black pepper, lemon juice, extra chillies and more butter if required, stir and serve hot. I have been asked by customers and on my travels for a perfect recipe for Saag Paneer, which for those who don’t know is an Indian style cottage cheese in a spicy spinach pureed sauce. And even though I like cooking a traditional style paneer saag, it got me thinking of how I would like to cook it in my very own style. So over the weekend this is what I done……….. In a fairly large wok heat up the olive oil on a medium to high heat, once hot add the garlic, ginger, chillies and sauté for one minute. Throw in the fried paneer cubes and stir fry for a further minute. Add the spinach, tomatoes, all dried spices and stir fry for five minutes, sprinkle in the lemon juice, one final stir and serve hot. Just love prawns, though for me need to be spiced up and yes butter to finish them off. 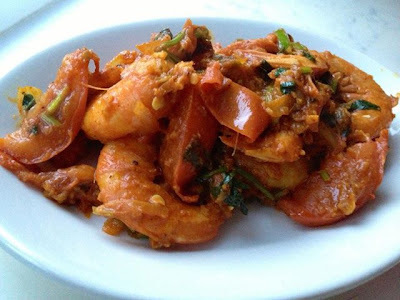 Here's my spicy grilled prawn recipe, quick, easy and very delicious. In a medium size bowl, sprinkle in all the spices, add the garlic paste, chillies, lemon juice, fresh coriander and mix in well. Add in the prawns and mix well, use your hands, though wash well after. Marinate for 30 minutes. Place the prawns on a lightly oiled tray, skewer if possible, baste with butter, put under a medium pre-heated grill and cook for 12 minutes. Is something like your fried potato cake or croquette though much spicy. Sieve through the plain flour, cornflour and ground black pepper into a bowl and leave aside. Place the cooked potatoes in a large bowl and sprinkle in all the herbs and spices. Using a fork break into the potatoes and mix all the ingredients together. You don't want a mash though the potatoes broken into little pieces. Make little patties around 4cm in diameter and 2½cm thick, leave to one side. Place the patties into the plain flour mixture and coat well. Shake a little to get rid of any excess flour and place back on a plate. Heat up the oil in a frying pan on a medium heat, once hot try one to begin with. They should fry very easily, around 3-4 minutes on each side and should brown slightly. Remove to a plate of kitchen towels to drain excess oil.If you are happy then fry the Aloo Tikki in batches of 5-6, otherwise reduce or increase heat slightly. Went next door to the Asian fresh vegetable shop and found pak choi, it's amazing the availability of variety of Asian vegetables in our local and large supermarkets. It just makes us want to try out new recipes, that we may only find in restaurants. So here is my take on one of my favourite vegetables, pak choi, baby Chinese cabbage, stir fried in garlic, ginger and red chillies. Though a Chinese dish, this vegetable dish can go with any cuisine. In a small bowl, pour in the sesame oil, soya sauce, lemon juice, salt, sugar, stir and leave a side. Heat the olive oil on a high heat in a wok or deep frying pan. Once hot, throw in the garlic, ginger, chillies and stir fry for a minute. Add the stalks of the pak choi and stir fry for 2 minutes. Add the leaves and stir fry for a further 2 minutes. Pour in the vegetable stock and soya sauce mixture, stir and allow to simmer for 2-3 minutes, before serving. Gujarati style semolina pudding, sprinkled with toasted fresh desiccated coconut and almonds. A straight forward Indian dessert made from coarse semolina which is roasted in ghee (clarified butter), until slightly brown. Boiled saffron flavour milk is added, sugar or condensed milk as I have above and then vigorously stirred until the milk has evaporated. Murgh Lasuni in other words, what you might see on a menu in any top Indian restaurant, chicken curry with loads of garlic. I myself just love garlic and tend to throw loads of the stuff in many of my dishes. This particular recipe is quick and simple to make, which is as authentic and absolutely delicious for garlic lovers. In a large frying pan, preferably one with a lid, heat up the olive oil on a medium heat. Once the oil is hot, throw in the peppercorns and allow to crackle for 20 seconds. Add the onions, garlic, chillies and allow too sauté until dark brown. Add the chicken and stir fry until all the pieces of chicken turn white. Mix the blended tomatoes and yogurt well and pour in, stir, lower heat and cook for 30 minutes with a lid on, stirring occasionally. Sprinkle in all the dry spices, stir and cook for a further 15 minutes. I garnish this dish with fried flakes of garlic for that extra feel. Serve Hot with Naan bread & rice. In a fairly large pot, heat up the oil on a medium heat, once hot sprinkle in the cumin seeds and allow to crackle for 20 seconds. Add the onions, garlic, ginger, crushed chillies and saute until light brown. Sprinkle in the coarsely grounded red peanuts and stir fry for 2-3 minutes. Pour in the blended tomatoes, sweetcorn and the also the dried spices, stir well and allow to simmer for 30 minutes with a lid on, stirring occasionally. Finally pour in the single cream, sprinkle in the coriander, stir and cook for a further 10 minutes before serving hot, goes well with naan bread. Very very naughty, though taste's divine. In a fairly large bowl pour 2 tablespoons of olive oil, sprinkle in the dry spices and stir well. Pour in the yogurt, lemon juice and whisk in well. Throw in the mushrooms, stir in well, coating all the pieces with the marinade, allow to marinate for a few hours or use straight away. In a medium frying pan or wok, add the rest of the olive oil and butter, allow to heat over a medium heat, once hot, add garlic, red chillies, fresh coriander and saute for a minute. Add the mushrooms and stir fry for 15-17 minutes, until cooked. Serve hot with warm bread of you're choice. Indian cottage cheese, marinated in a selection of spices, herbs and a few special ingredients, to make this mouthwatering appetizer. Indian cottage cheese, called paneer has a love hate relationship with people, you either love the stuff or you won't go near it. The cheese is a bit like halloumi, unsalted, which can be grilled or fried. Made from curdling heated milk, by adding lemon juice, the curds are separated, put into a muslin cloth, hung up and allow to be drained for a few hours. It's then moulded into the required shape and again pressed, chilled and their you are, the other alternative is to buy the ready made stuff you find in Asian grocery stores. Pick up My Cocktail Paneer Tikka recipe instore now.